We would be glad to serve you in any possible way. Just let us know how! This team works relentlessly to improve on the quality of RGE's programs and increase our impact across the continent of Africa and the world. Blessing serves as the International Program Director of Raising a Generation of Esthers Foundation. After she obtained a Bachelor’s Degree in Management at the University of Buea, Cameroon, she later studied at Pan-African Institute for Development where she obtained an Advanced Diploma in Marketing and Advertising. She has participated in a number of professional, leadership and personal development initiatives including those hosted by International Governance Institute United Kingdom in Partnership with the Buea Municipal Council, Cameroon. These opportunities made room for her to develop skills in business management and public services. Blessing is the co-founder of Beautiful You Closet, a clothing line that affords academic opportunities for schoolgirls in Cameroon through its proceeds. Her passion to serve low-income families enables her to partner with other organizations through outreaches and community development initiatives. Also, she uses her faith in God as a platform to host and participate in small bible studies. Cara Philip serves as the Development Officer of Raising a Generation of Esthers Foundation. She was born and raised in Bermuda and is passionately compelled to assist young women as they overcome life’s challenges and fulfill their God-given potential. As a young woman, Cara always desired to be a blessing to those around the world in need. This tug led her to attend Oral Roberts University in Tulsa, OK, where she earned a degree in Environmental Sustainability and was further empowered to make a difference. Throughout her undergraduate career, she received the Bermuda Government Scholarship and was a finalist for the Rhodes Scholarship. In hopes to further understand this world that God loves, she completed a Master’s degree in Development Studies from the University of London, School of Oriental and African Studies. Cara currently resides in Bermuda with her husband, while working in the policy and international affairs arm of the local financial services industry. She continues to serve at Breath of Life Ministries as a Sunday school teacher and dance minister. 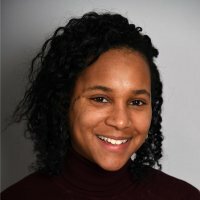 Brittney Mengistu serves as the Chief Operating Officer of Raising a Generation of Esthers Foundation and is responsible for leading the core executive and administrative teams. 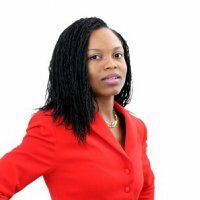 She also leads internal operations, provides monitoring and evaluation expertise, and contributes strategic and creative solutions to ensure efficient business operations. Brittney received her Bachelor’s degree in Psychology at Oral Roberts University where she served alongside Favour to share the Gospel to underserved youth. Brittney’s heart to serve underprivileged communities continues to grow and her service through this position allows her to continue to positively impact young women across the world. 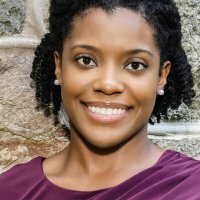 Brittney also holds a Master’s degree in Public Health from Emory University with training in research and evaluation methodologies. Brittney currently resides in Maryland and works with the U.S. Army as a Research and Evaluation Fellow. She is also active in her church and partners with her husband, the Director of Outreach and Missions at Generation Church, to bring the Gospel to the local communities through church-led initiatives and partnerships with nonprofit organizations. Brittney is passionate about taking the Gospel to the nations, coaching visionaries to fulfill their purpose and calling, and empowering women to live a purpose-filled life.